Looking to improve your lifting operations? Then walk the floor. That’s the advice being given to managers and supervisors by the UK’s leading provider of lift truck training. Mentor, who pioneered the UK’s first training course for managers and supervisors of lifting operations (Managing Forklift Operations), believes that active operational observation is the key to creating sites that are safer, more productive and, ultimately, more profitable. Mentor maintains that with the many advances in technology available to the modern manager, it can be all too easy for them to become tied to their desks, rather than making time to get out into the working environment and observe operations first hand. As Managing Director Stuart Taylor explains: “If managers are unaware of how their teams are performing on a daily basis, how can they hope to control it? Regular monitoring is key to stopping bad habits from developing and complacency from setting in. The best way to ensure that the health and wellbeing of the workforce is maintained and that company policies and procedures are being upheld is to get out there and walk the floor, following up on any bad practice before it becomes the norm. Good supervision is about much more than common sense. In its latest edition, the L117 Approved Code of Practice for Rider-operated lift trucks, specifically outlines the role of the supervisor. They should be able to carry out an effective observation and know what to look for, recognise unsafe practice and behaviour, communicate effectively with operators and line managers, and maintain and promote health and safety standards. 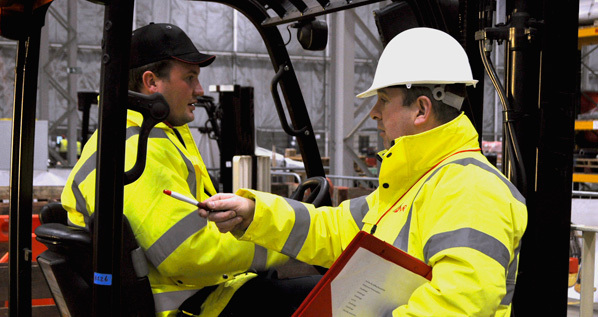 Mentor’s Managing Forklift Operations course, now in its third year, ensures delegates understand their responsibilities, key forklift safety principles and how to recognise and control bad practice. They are also guided through the real cost of a forklift accident, as well as the benefits of a safe, productive operation. The course is a well-established solution for companies looking to make improvements to safety and productivity. To date, Mentor has trained more than 1,500 managers and supervisors – providing them with the skills and knowledge to become confident and proactive leaders, taking ownership of site safety and encouraging others to do the same.